I have been working out at Brand X for nearly four years. I am 52 years old and I can honestly say that I have never been stronger or more fit than I am right now. That is not to say that before started I didn’t exercise. I did. I ran marathons, completed a handful of triathlons and did some occasional weight training. I now realize, however, that I was maintaining a level of fitness that was not only falling short of my potential, but was also lacking in some basic and crucial mechanics for long term health and mobility. The level of training and coaching I receive at Brand X is truly beyond compare. The best part is that I don’t have to think about it. The programming is carefully laid out for me. Professional trainers with several years of experience create the workouts for optimal success and safety. 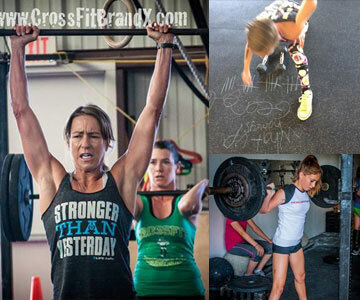 My husband and children also workout at Brand X. CF Kids originated there so you can rest assured that the leading experts in the field are training your kids!